Lugana DOP, Cantine Colli a Lago SRL, Desenzano di Garda Brescia, Lombardy, Italy, 2013, 12.5% abv. Marta, my Italian wine expert friend, found this at the Cambie Street BCLB and picked it up out of curiosity. Quite frankly, we were completely prepared to expose this wine as an insipid white Italian along the lines of most of the Pinot Grigios that find their way here. Knowing the Canucks had likely purchased a bladder of this and slapped some labels on to sell at The Phone Booth (Roger’s Arena), we weren’t expecting much. But weren’t we surprised; with the cheese and fruit we selected, it showed far better than anticipated. From Lombardy in north central Italy, it’s made from Turbiana on the shores of Lake Garda. Very pale lemon with uneven legs, it has light aromas of dry, crisp, not cloying, pear, white flowers, and a hint of ginger blossom. The palate is dry with average acidity, medium body and flavours of crunchy pear and quince, white tree flower and again, a little fresh ginger. Fruity yet elegant and refreshing – we agreed we could drink this all day long. 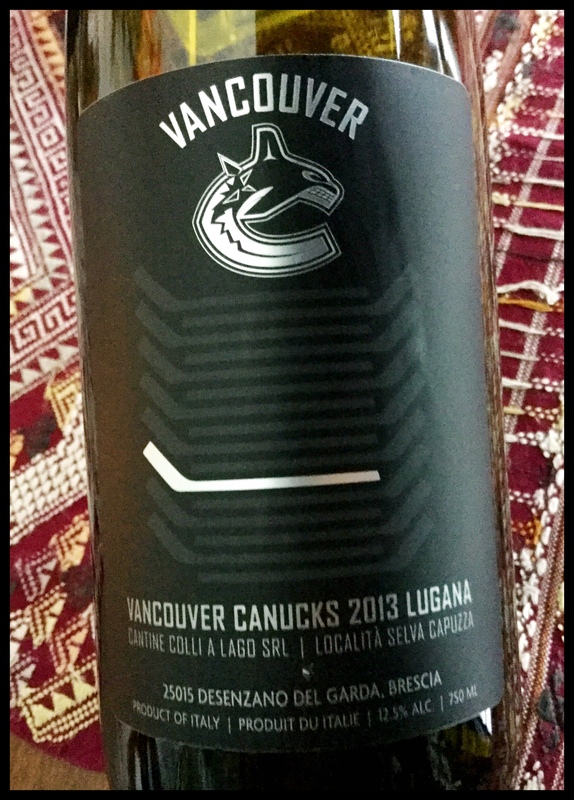 Maybe we will – Go Canucks, go! This entry was posted in Italy, Ugni Blanc, WHITE and tagged 12.5% abv, 2013, Cantine Colli a Lago SRL, Canucks, Desenzano di Garda Brescia, Italy, Lake Garda, Lombardy, Lugana DOP, Turbiana, white wine. Bookmark the permalink.